Chronic shame is painful, corrosive, and elusive. It resists self-help and undermines even intensive psychoanalysis. Patricia A. DeYoung’s cutting-edge book gives chronic shame the serious attention it deserves, integrating new brain science with an inclusive tradition of relational psychotherapy. She looks behind the myriad symptoms of shame to its relational essence. 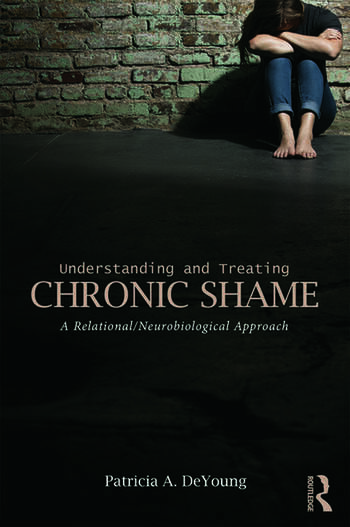 As DeYoung describes how chronic shame is wired into the brain and developed in personality, she clarifies complex concepts and makes them available for everyday therapy practice. Grounded in clinical experience and alive with case examples, Understanding and Treating Chronic Shame is highly readable and immediately helpful. Patricia A. DeYoung’s clear, engaging writing helps readers recognize the presence of shame in the therapy room, think through its origins and effects in their clients’ lives, and decide how best to work with those clients. Therapists will find that Understanding and Treating Chronic Shame enhances the scope of their practice and efficacy with this client group, which comprises a large part of most therapy practices. Challenging, enlightening, and nourishing, this book belongs in the library of every shame-aware therapist.